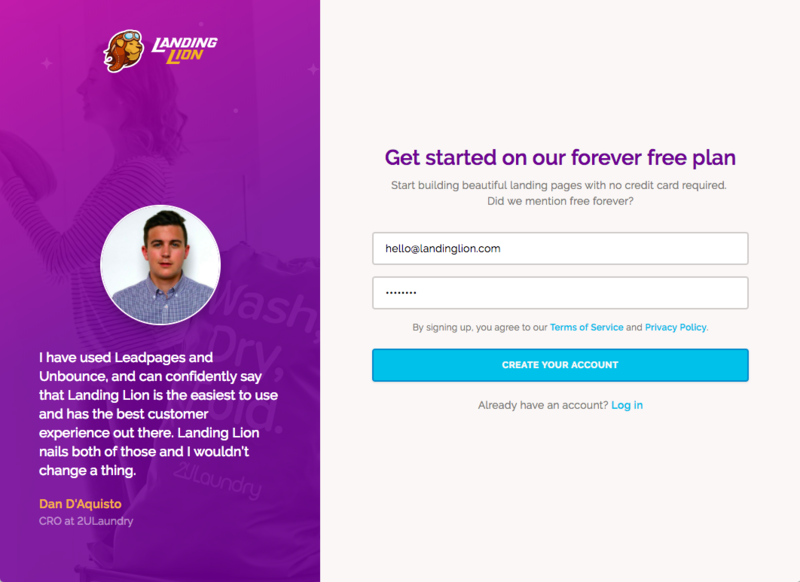 Visit the login page and click the orange "Sign up" link. 2. Fill out and submit the "Create Your Account" form. 3. Go to the email you signed up with and verify your email by clicking the blue "Verify Email" button. 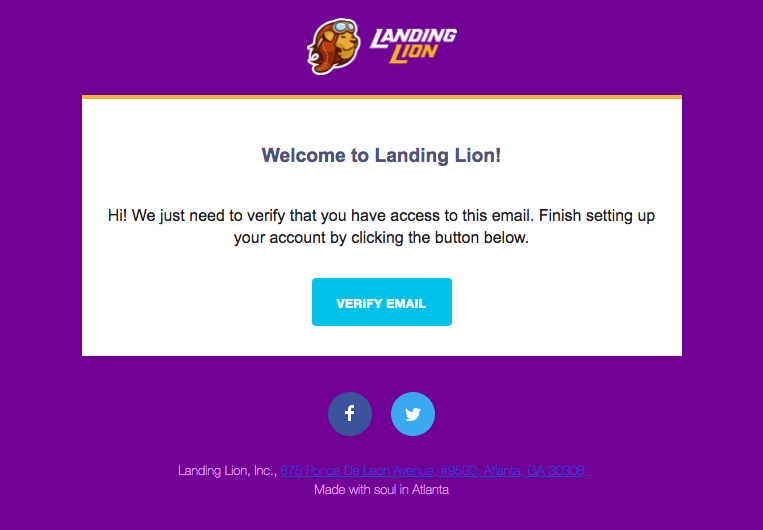 Clicking "Verify Email" will verify your account, granting access to Landing Lion. 4. 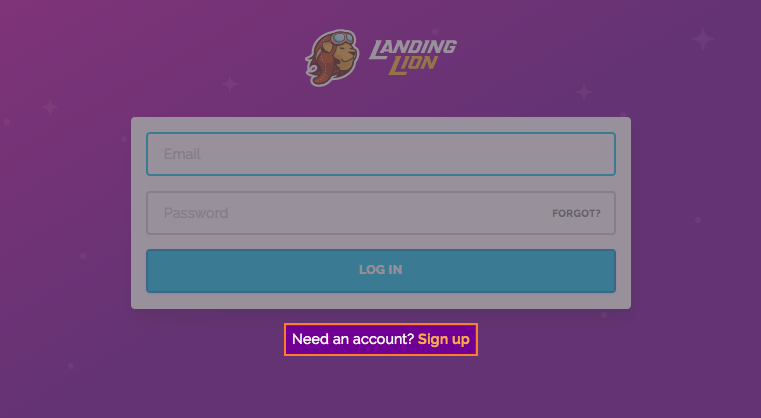 After your Landing Lion is verified you will be asked to choose between three options. If you are a creative or freelancer working on your personal brand, select the option "For myself". If you are an in-house marketer (or employee) of a business, then select the option on the right "For my company". 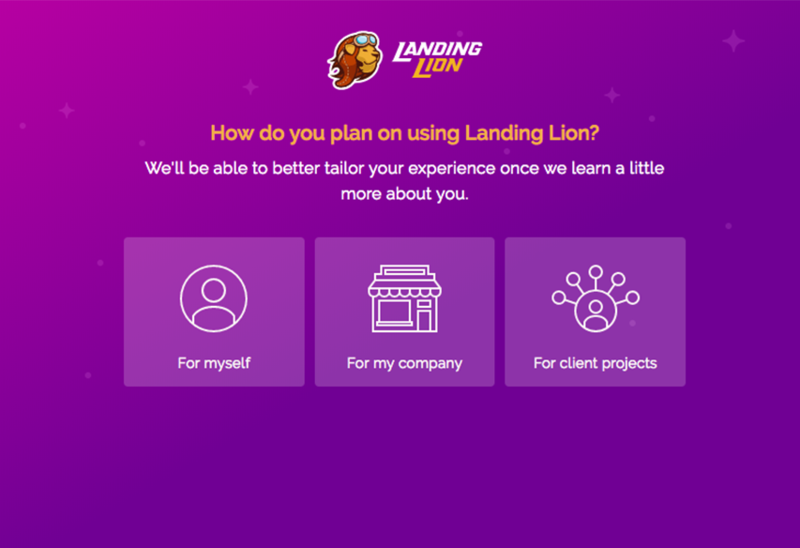 If you are a Marketing Agency, PPC Marketer, or freelance marketer managing a variety of projects for multiple clients or businesses, then select the option on the left "For client projects".